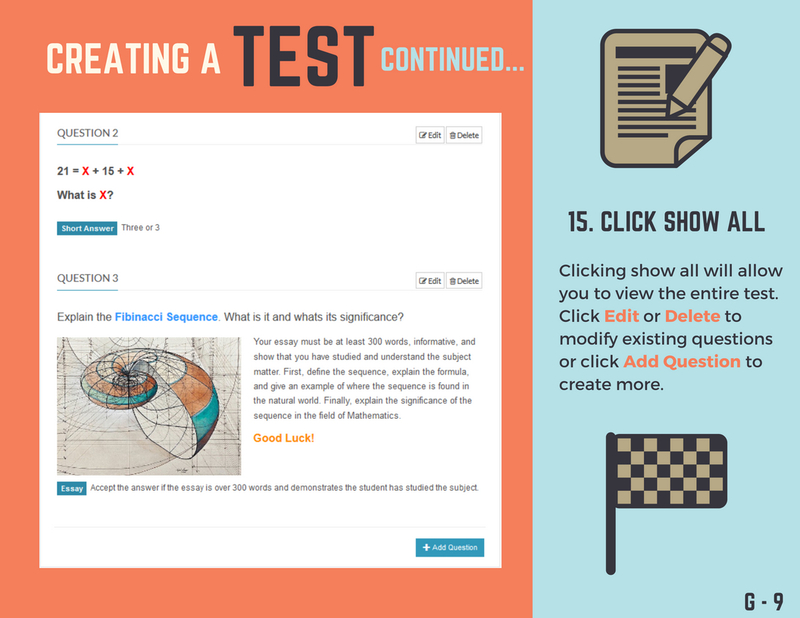 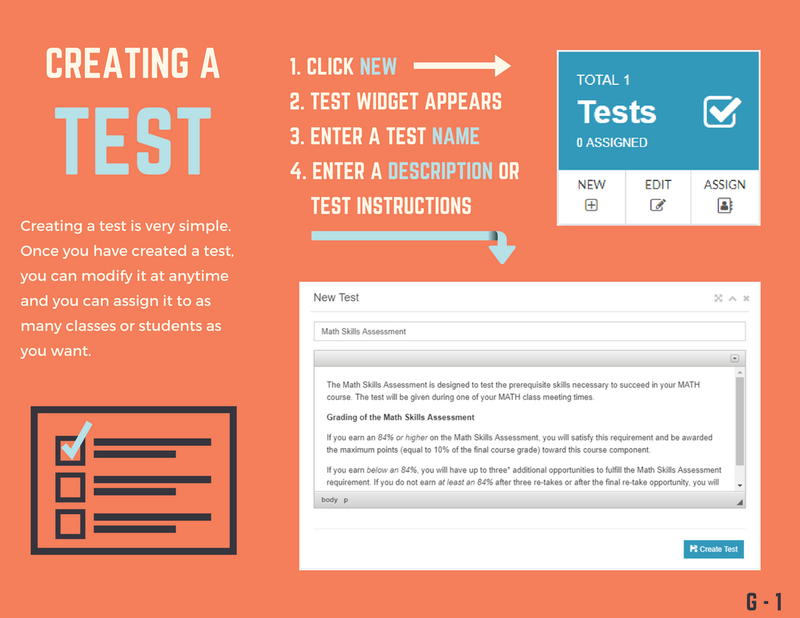 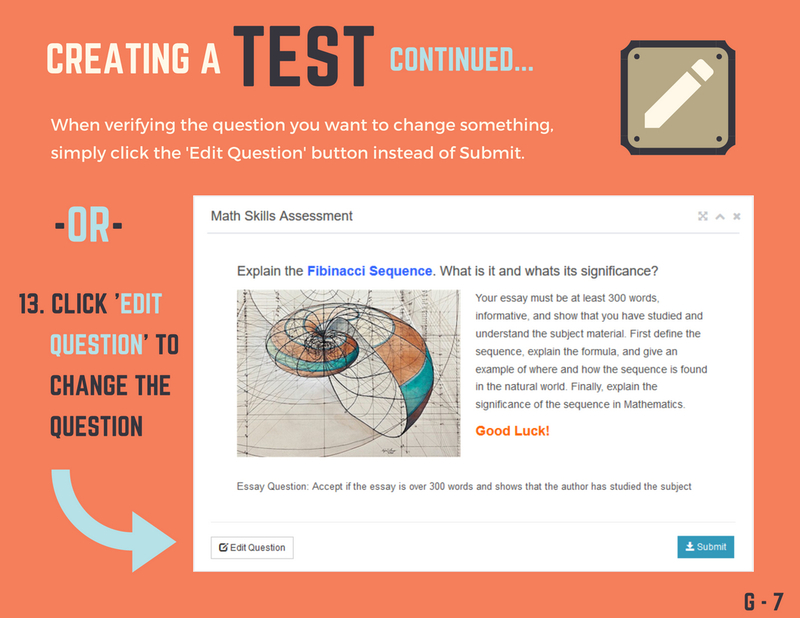 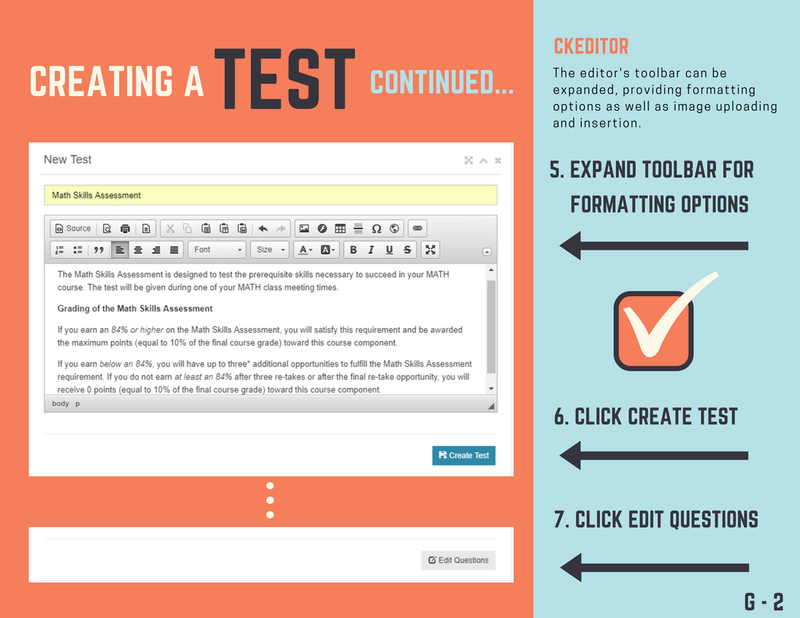 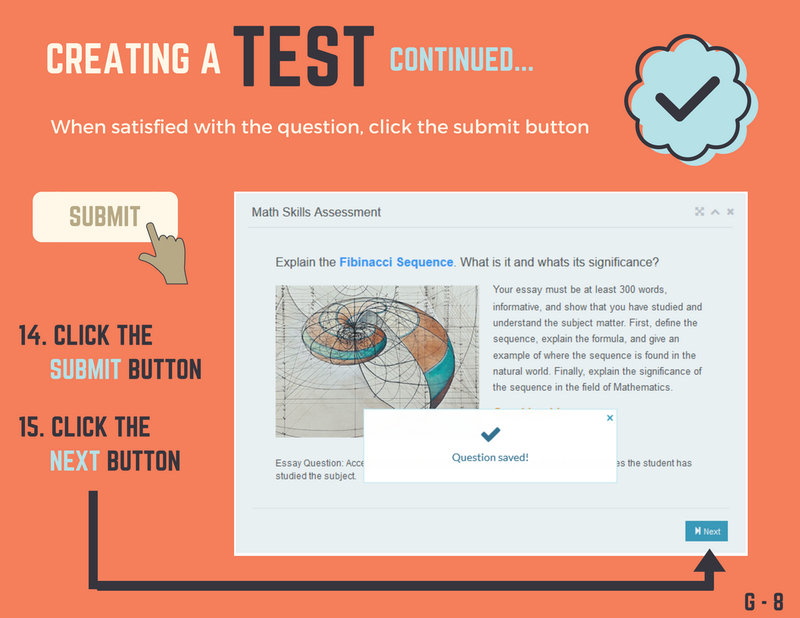 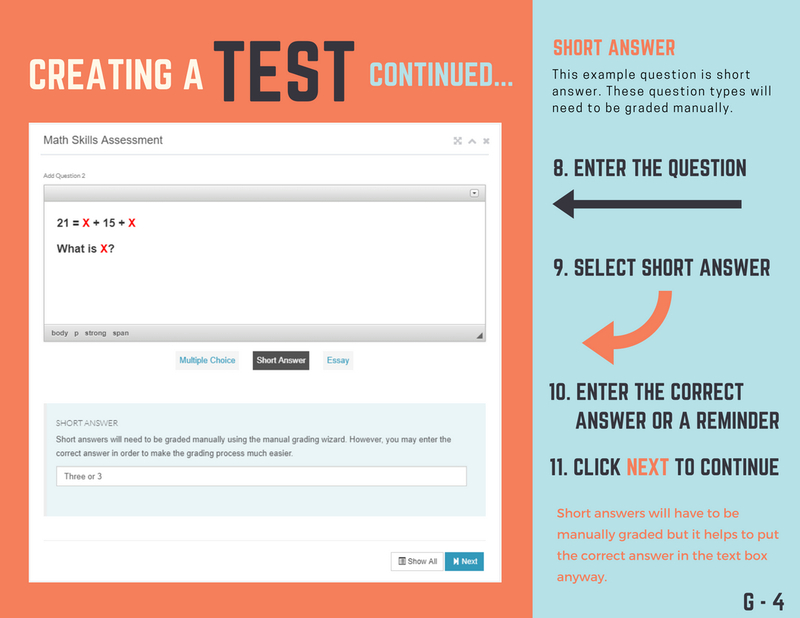 When creating a test you must enter a testname, instructions(optional), questions, and their correct answers. 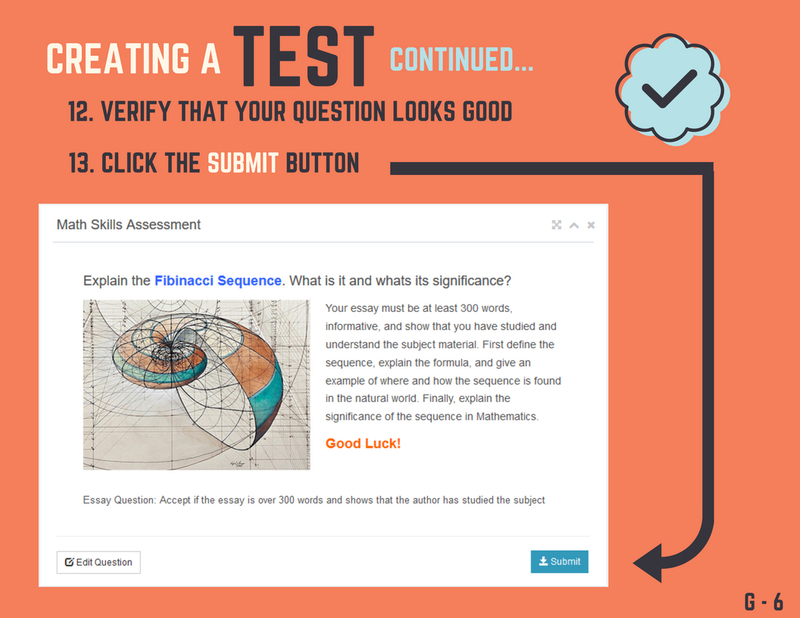 There are four question types: multiple choice, true or false, short answer, and essay. 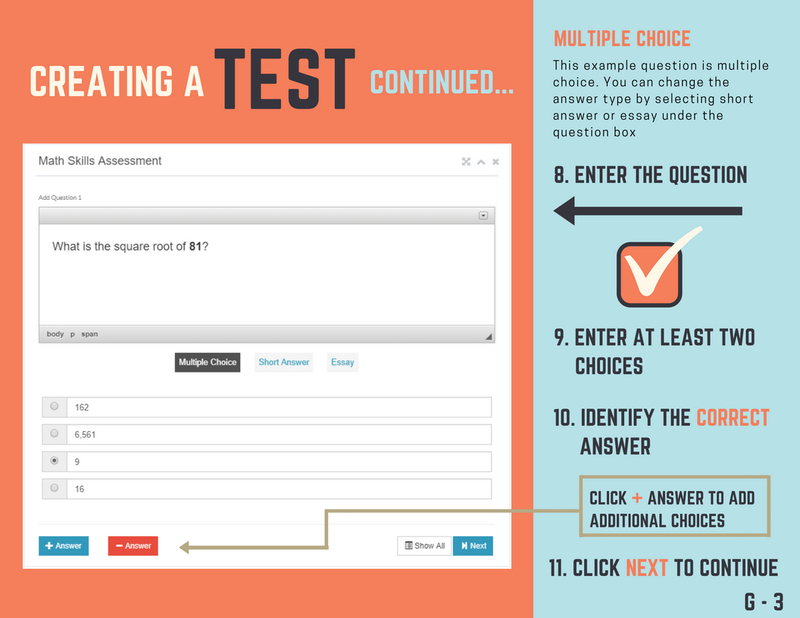 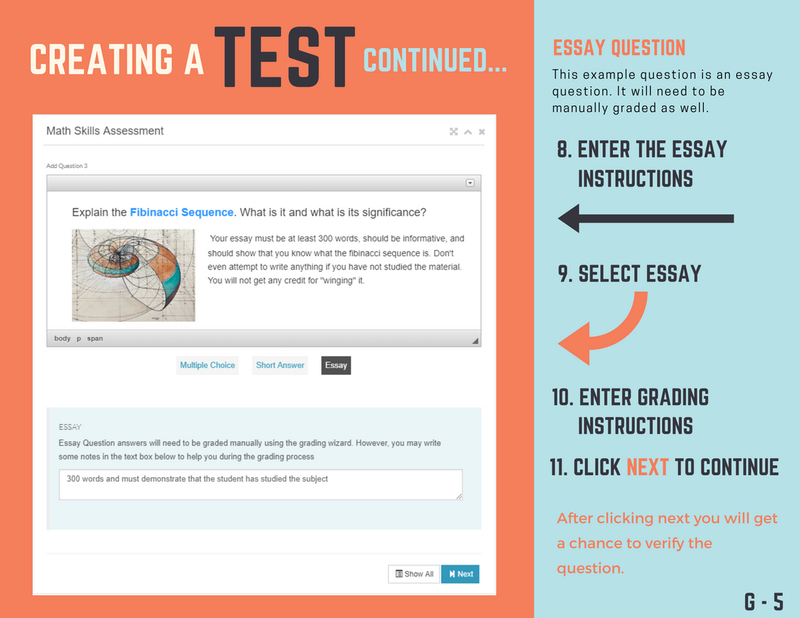 Multiple choice and True or False question types will be graded automatically, while you must grade the other types manually using our very efficient grading wizard.